I started today's session by cleaning out all the tools and various parts from the tail. I also removed the battery tray in prepartion for tomorrow's session in which I have to crawl inside the tail again. 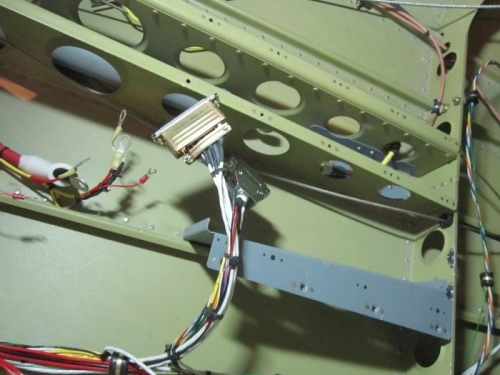 I found only a single error in the ADSB connector and quickly resolved the issue and reassembled the connector. 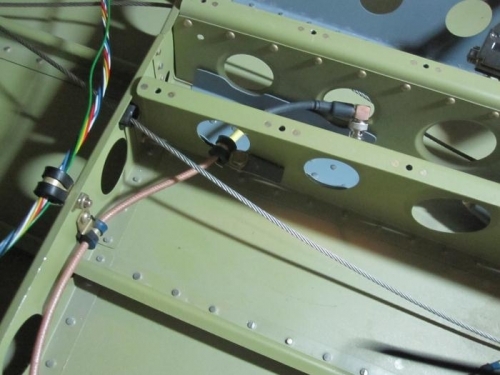 I installed a cleco on the tunnel for the ADSB antenna cable. It was much easier with the battery tray out of the aircraft. I deburred and primed the doubler for the strip that reinforces the fiberglass on the cabin cover. 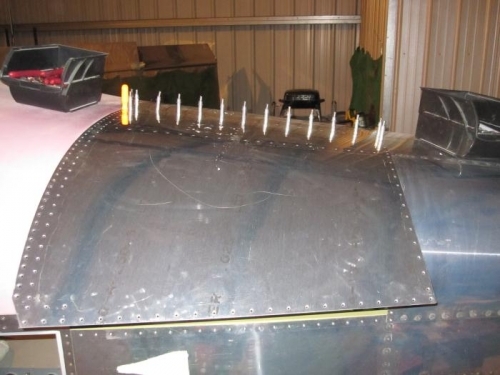 I started to cleco the top skin and was going to start riveting. I decided to stop at this point since I had to wait for the primer to dry on the doubler to proceed.